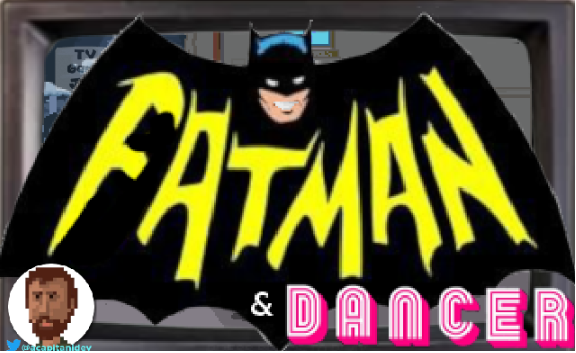 Inspired to the 1966 TV episode "Hi Diddle Riddle" of Batman movie series. 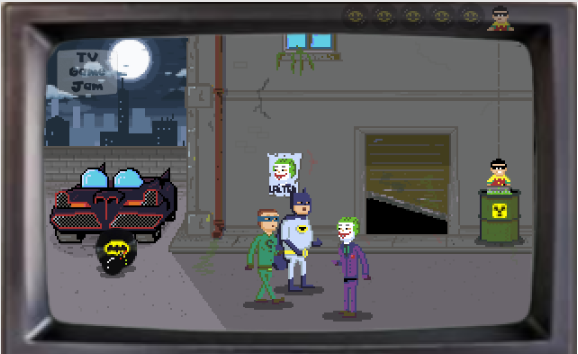 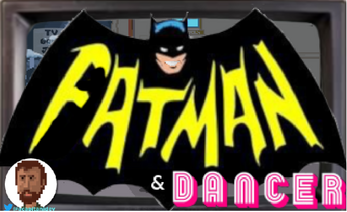 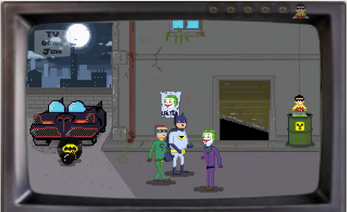 Help Fatman (Batman) to pick up fat-discos and save the Dancer (Robin) . 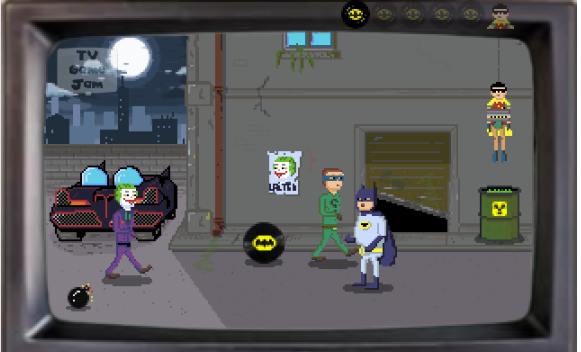 Fight against Diddle Riddle and Joker. 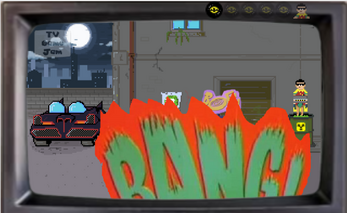 Use ARROW KEYS to move and SPACE BAR for action. The game ends when the Dancer falls down in the acid bin.